Small porcelain succulent planter made with lavender, light purple, and creamy white porcelain clay and finished with a clear glaze. The mini ceramic planter does not have drainage holes. Remove the included 2" plastic pot to easily water your plant (plant not included). 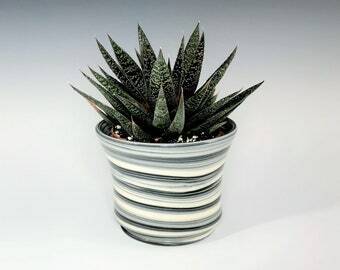 Size: Height 2 ¼", Diameter 2 ¾" at the rim. 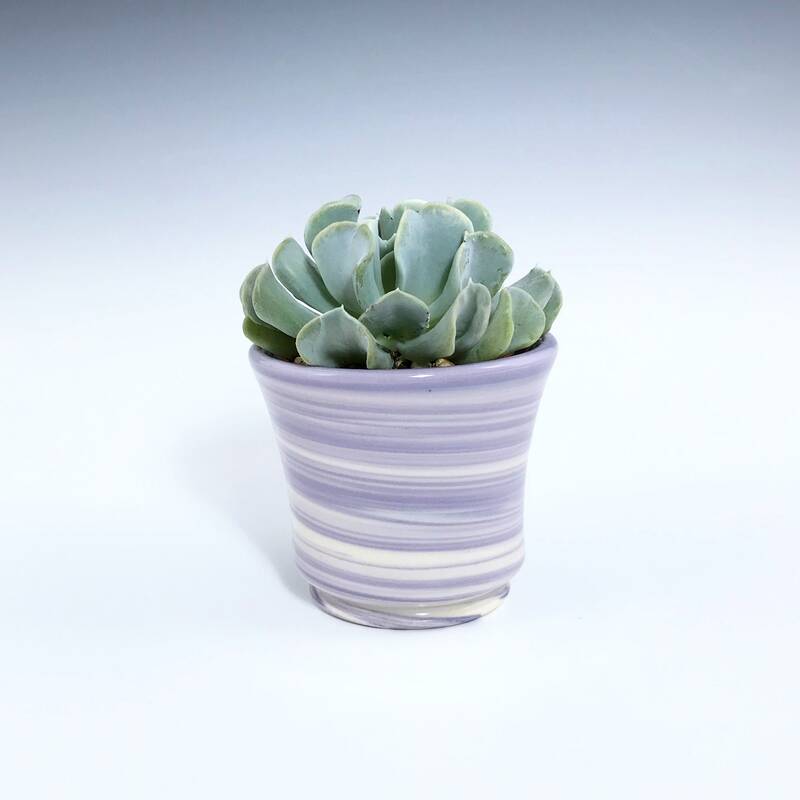 This listing is for one small light purple ceramic planter and one 2" plastic terracotta colored pot. Succulent care instructions will also be included. Other pottery pieces pictured are listed separately, if available. Plant not included. 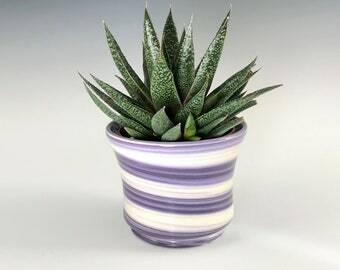 Each porcelain plant holder is handmade individually and there may be slight variations in slight variations in size. The process of throwing multiple colored clays on the wheel will always result in unique marble patterning. It can be also be used as a candle holder, sugar packet holder or toothpick holder. The bottom of the pottery is sanded and polished so that it is comfortable to the touch and will not scratch counter or table surfaces. 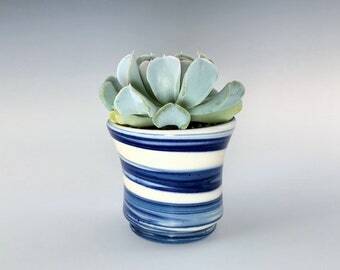 I made this plant holder on a potter's wheel using high-quality porcelain. I mix all my glazes from scratch using only non-leaded ingredients. I hand mix my colored clays using the same colorants used in my glazes. My pottery is food, microwave and dishwasher safe.